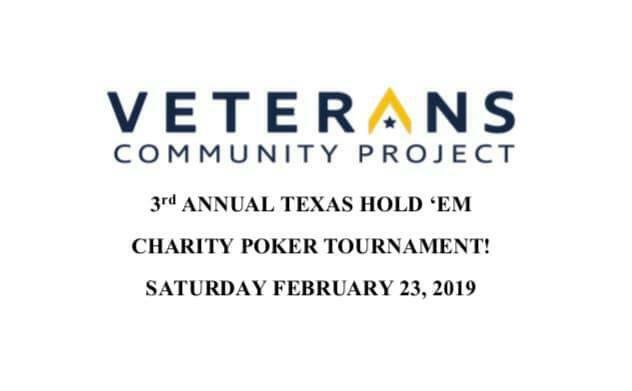 AMERICAN LEGION POST 19 AND POST 153 are hosting the 3 rd Annual Texas Hold ‘Em Poker Charity Night with 100% of net proceeds benefiting the Veterans Community Project (VCP). 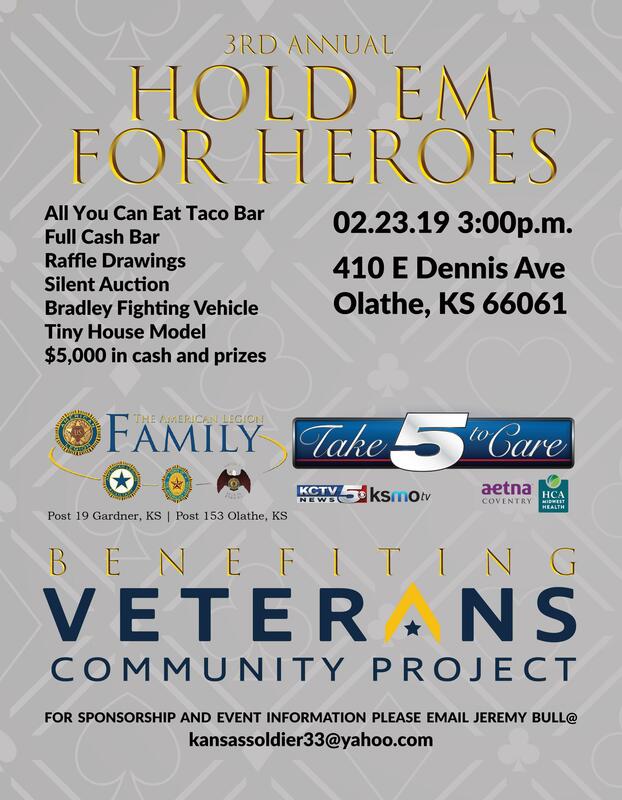 On February 23, 2019, this event will be held at American Legion Post 153 of Olathe, KS. The tournament is a fun event used to support homeless Veterans within the community. It promotes working together for a cause near and dear to all of our hearts and raises funds to support a fantastic organization whose goal is for NO Veteran to ever be homeless. In 2018 this event hosted over 200 attendees and raised over $12,000 for the VCP. Give a hand and help others get ahead. Find out about a poker tournament where the real heroes win no matter what hand they’re dealt. Join The American Legion Family and be a part of the legacy.